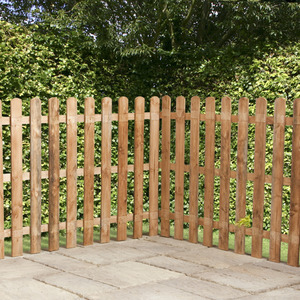 Garden fencing can help to create a more private garden area. Fences come in all range of sizes and styles, meaning budding gardeners can create a personalised environment that’s as unique as their garden. However, fences are not just about building boundaries, but can add real character and style to your garden. At the London Vegetable Garden, I like to ‘compartmentalise’ my garden, using fencing to create different areas to enjoy. As an avid vegetable grower, I like to have a dedicated vegetable ‘patch’ in my garden, but I also like to plant flowers and shrubs to create a more visually-appealing area; and a fence panel between these two areas helps to break up the space and create ‘compartments’ in the garden. However, fencing can also be used to foster growth and create a ‘living fence’. Trellises create a framework for climbers to grow up on and can become living, thriving fences that help separate garden areas in a visually striking manner. However, if you just want something plain and stylish, there is a wide variety of decorative fence panels that can create a unique atmosphere. 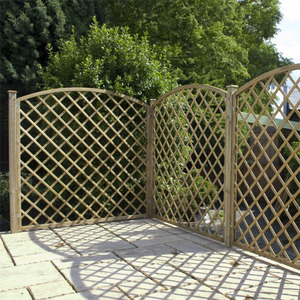 Take a look at these decorative fence panels, offering a wide range of styles and looks. If you’re looking to create more privacy in your garden, looking to separate different areas, or simply looking for new fencing to make a statement, you’ll find everything you need at Fence Supermarket. Log fires, blankets, television and far too many chocolates and wine: at Christmas, it’s often easy to hunker down and hibernate, as we shut out the outside and focus on the warmth and comfort of life indoors. Yet bringing the outdoors inside can be a hugely rewarding and enjoyable feature of the home at Christmas too. There can be no grander visible symbol of bringing the outdoors indoors than the traditional Christmas tree! But there are plenty of other subtle ways that you can bring the outdoors indoors, creating a subtle harmony through plants and flowers, whether as decorations, or gifts for loved ones. Lavender makes a wonderful addition to the home, all year round. Based within the bedroom, lavender provides a wonderfully soothing aroma and calming effect. As well as helping to reduce headaches (perfect during a busy party season! ), anxiety and even rheumatism when consumed in tea form, lavender can also help to lull you into a deep sleep when the plant is placed in the bedroom, making it the ideal plant for the bedroom, and a perfect present for friends and family. Mistletoe grows on willow and apple trees, and it is a plant that has strong cultural connotations with Christmas. Why? It is supposed to possess mystical powers that bring good luck to the household, warding off evil spirits. In Norse mythology, it was also used as a sign of love and friendship; hence the Christmas custom of kissing under the Mistletoe. Whatever you use it for, it makes an aesthetically pleasing addition to the home at Christmas – perfect for bringing some festive cheer. Herbs also make a great year-round addition to the home. Based in the kitchen, temperatures and conditions can fluctuate wildly, but herbs are hardy things and there is nothing better than picking fresh herbs to add to dishes, especially at Christmas, when leftovers are ripe for experimentation and flavouring. Kitchen herb gardens make a great present that any cook will love and cherish. 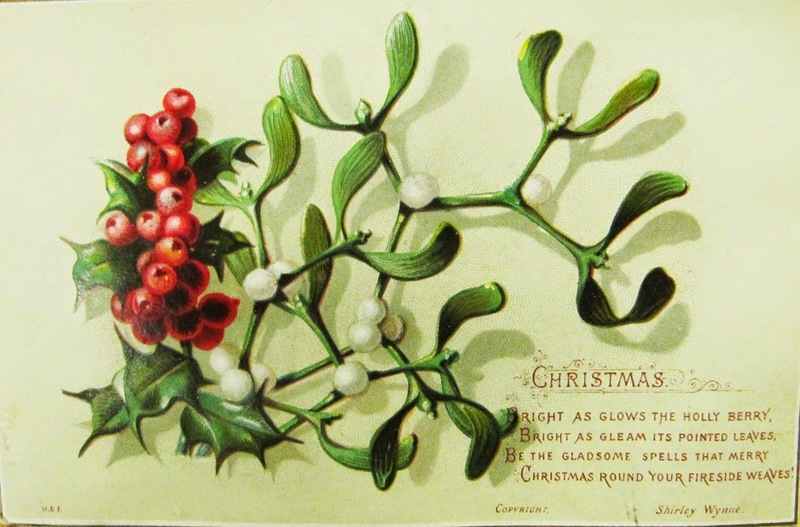 And finally, what about the humble holly? Added to conifer twigs, holly is traditionally used as a wreath to display on the front door, but you can create some wonderful centrepieces that last for the duration of Christmas and drape these on shelves, fireplaces or tables to bring some festive merriment into the home. So there we have it: just a few simple ideas that show how bringing the outdoors, indoors this Christmas can help to both liven up your home, and make some great gift ideas for friends and family. If you have any additional ideas, we’d love to see them! Comment on this post or visit the Facebook page. With what promises to be a ‘flaming June’ upon us, we can finally enjoy our gardens. With the evenings getting longer, not to mention warmer, we can turn towards colour and variety in our gardens - providing we know how to look after them! A survey reported in The Telegraph has found gardening can help us feel renewed. Recent research carried out by the National Gardens Scheme (NGS) showed that more than just shy of two-fifths (39%) of those questioned said that being in a garden make them feel healthier, while 79% think having access to a garden is needed to ensure good quality of life. This can become increasingly helpful as we become older. The ritual of planting out and caring for our gardens, window boxes or allotments can aid these good feelings. Summer gardens are usually at their best when flowers are in full bloom – offering colourful and inspiring displays for all to see. This is why property developers such as McCarthy & Stone pay close attention to their landscaped gardens and ensure there is always a pleasant outdoors atmosphere for their homeowners to enjoy - McCarthy & Stone properties are listed on Zoopla if you’re interested in seeing what they have to offer. Consider planting roses, honeysuckle, lavender and bedding plants like marigolds and sunflowers. Hanging baskets brimming with lobelia or trailing fuchsias are a summer must-have. This presents more of a challenge so opt for hostas, evergreens and plants which offer interesting foliage as these thrive well in shady places. 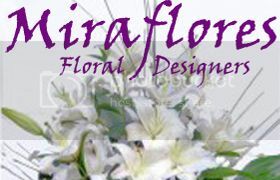 You could also consider ferns, foxgloves, hedera, impatiens, begonias and the beloved arum lily. Deciding what to grow in your summer garden is only half the battle – you must also make every effort to care for your plants and flowers so that they stay looking fresh and beautiful. 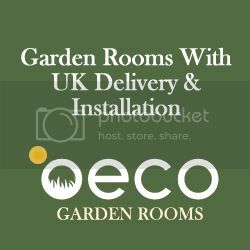 Be it balcony, patio, or small garden, the gardener who operates within compact spaces is constantly looking for ways to use space efficiently. For me, space has always been a premium, and while my beautiful Peak District garden is a world away from the limited confines of my Hackney balcony, I remain a gardener held accountable by space. The transition from balcony to allotment to garden has allowed me to expand the plants, flowers and vegetables I can experiment with growing, but this journey has also eaten up more space as I amass more and more garden tools, equipment and machinery! That’s why I love solutions that are as compact as my garden, and Hozelock has come up trumps. When I moved in, I inherited a cracked old watering can that does ‘a’ job. I’d often considered a hoze for the hot summer months, but found them to be too large to warrant a place in the garden. However, the Hozelock Pico Reel is the answer to my prayers. 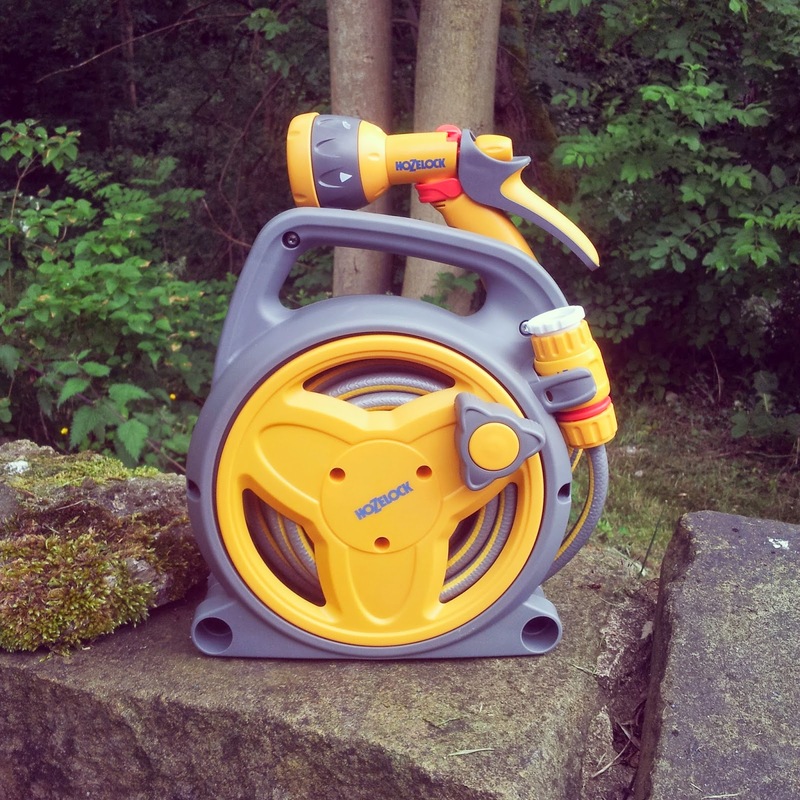 A finalist in the RHS Chelsea Garden Product of the Year 2014 (high acclaim indeed), the Hozelock Pico Reel strikes the perfect balance between form and function. Its compact size and reel allows you to leave it by the tap, or roll it up and store it in your shed – perfect for gardeners with small plots, like myself. Lightweight, non-drip and compact, the hose still packs 10m of length, allowing me to water my garden thoroughly, without compromising on space. In addition to the Pico Reel, I’ve also been experimenting with the Hozelock Wonderweeder. Every gardener knows that gardening is backbreaking work, especially when it comes to weeding patios, driveways and paths! However, help is at hand with the Wonderweeder. Its unique design allows you to weed standing up (wonderful! 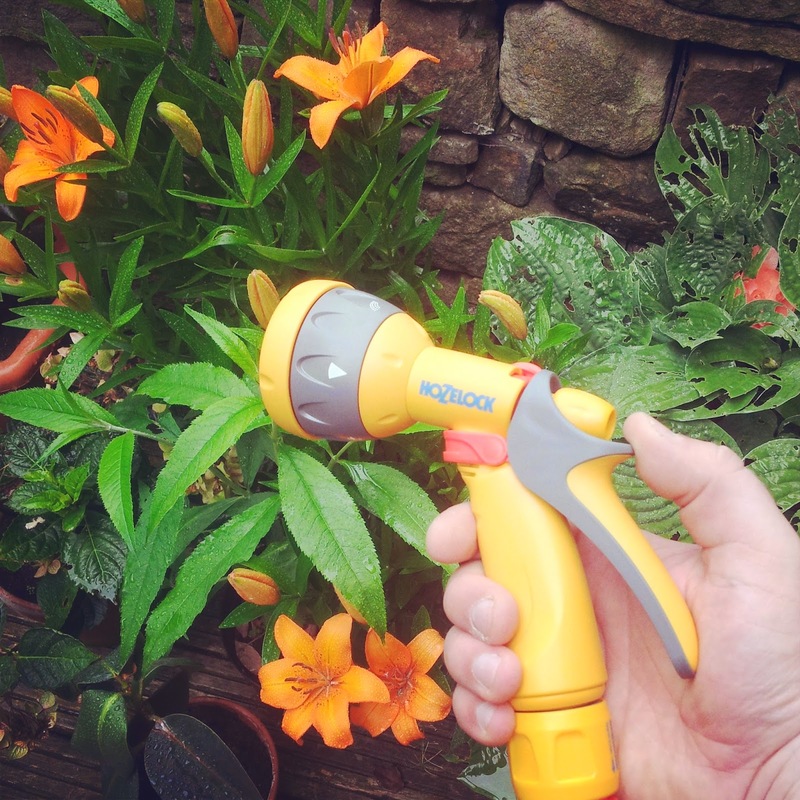 ), whilst the tool is refillable and also protects your plants thanks to the protective cone that sits around the nozzle. Again, its compact size means you can store it easily inside or out when you are done with it. 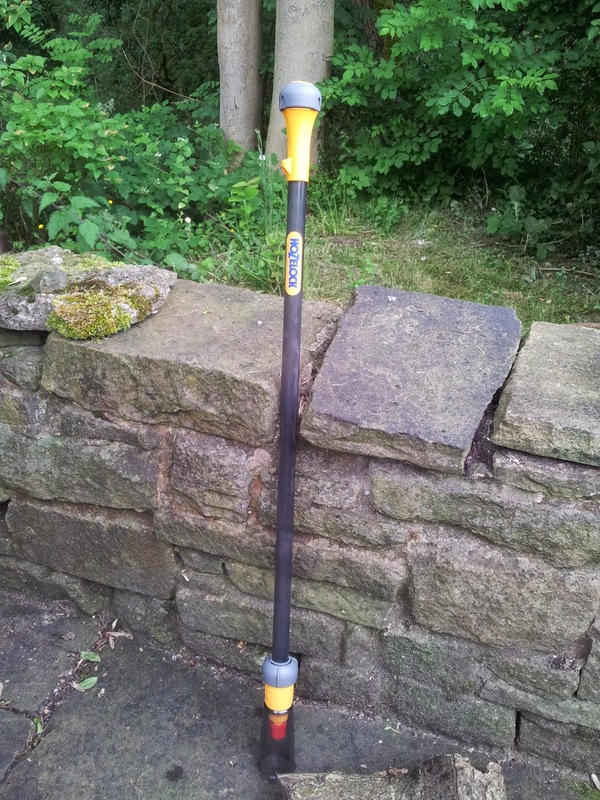 So there we have it: two great space-saving pieces of kit from Hozelock that are helping me to keep the garden going without compromising on space. Visit www.hozelock.com for more details! One of the many things I love about gardening is its timeless appeal. While the years pass and trends change, gardening remains a simple, age-old pastime that connects us with the past and the very nature we live in. One of the timeless tools I use is my grandfather’s old pocketknife. A constant companion, I enjoy the feeling of family history in my hand, the smooth shape and workmanship reassuring in my hand as I open bags of compost, dig weeds out of tight cracks in paths and cut all manner of strings, twine and ties. And it’s twine, too, that is an oft-used companion in the garden. From lashing together my annual runner bean cane network to holding up fragile plant stems, there seems to be a hundred and one different ways that twine comes in handy in the garden. I was thrilled to receive a selection of Nutscene twines in the post the other day. This great British brand heralds from Dundee, in Scotland, the birthplace of the jute industry. The brand dates back to 1922 and is derived from the company’s renowned Greentwist™ twine, which when tied around a plant cannot be seen, thus ‘not seen’! 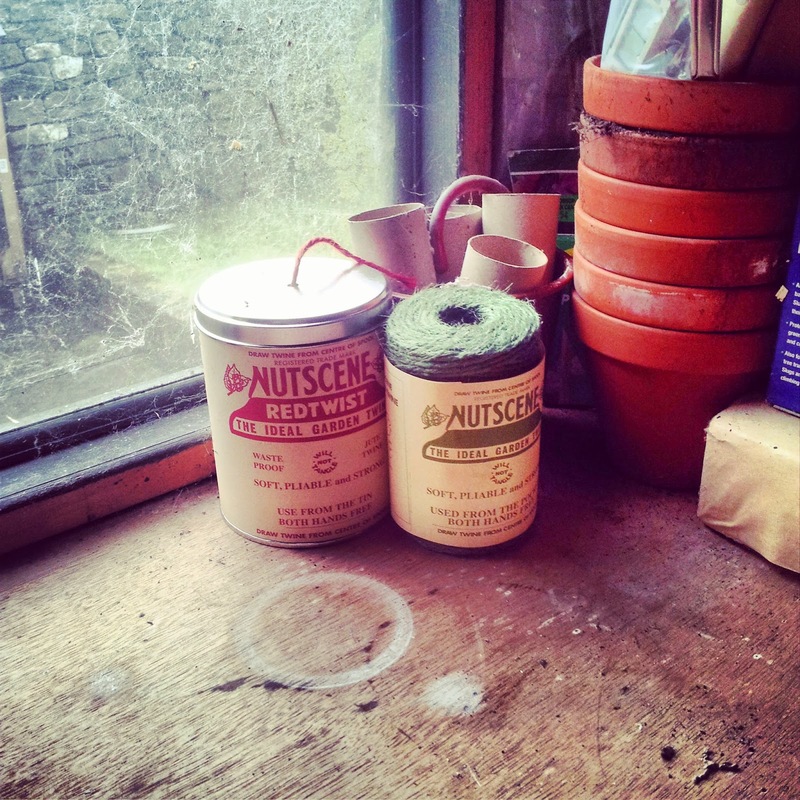 I’ve long been a fan of Nutscene twine, not only because of the quality of the product and its many uses in the garden, but also because again, it holds an inherent link to the past: the twines are still produced on the original machinery that they were 92 years ago, operating out of a small mill yard in the heart of Angus, Scotland. Whether you’re one of nature’s old romantics, like me, or simply appreciate high-quality and useful British garden tools, Nutscene Twine is a firm favourite of the London Vegetable Garden blog. Check out the website to discover a wide range of twines and garden tools: http://nutscene.com/. Compost, Manure and Mulch: Prepare Your Soil This Spring! What many budding vegetable gardeners fail to realise is that what you put into the ground is as important as what you get out of it! When I started vegetable garden, I often planted things in the ground and then wondered why things struggled to grow, when preparing your soil with a range of compost and nutrients is so vital. It’s also important to use the right compost for your different gardening needs. When growing vegetables, I tend to use a good multi-purpose compost which not only retains and absorbs moisture, but also contains Vitalizer – an entirely natural long lasting growth booster for strong healthy plants with minimal feeding. However, for growing flowers, an ericaceous compost is much more effective: it contains the perfect pH for lime-hating (acid loving) plants, while promoting strong root and flower growth. Compost Direct is a great site where you can get a range of compost and soil delivered directly to your door. Compost Direct is the chosen compost suppliers of the National Allotment Society and has a range of great products and services on its site. I love the fact that Compost Direct offers product samples, allowing you to decide which products are best for you before buying a bulk bag, as well as easy 24-hour ordering and quick delivery, typically within 3 days, leaving you free to get on with the gardening. So as Spring finally arrives and we start preparing the garden ready for another season of vetegable growing, remember that investing some time and effort into soil preparation can reap huge dividends by the end of the summer. Do you have any tips and advice for readers of the London Vegetable Garden blog? Let us know by adding a comment below! There’s nothing like growing and harvesting your own vegetables. You can save a significant amount of money and get a lot of personal satisfaction from raising crops in your own garden. 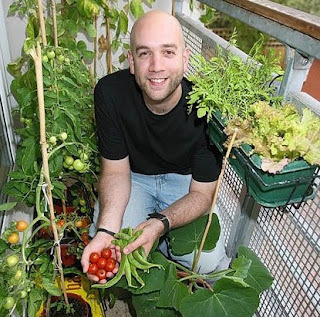 It’s something that the whole family can get involved in and the best thing is that even if you only have a small garden to work with, you can get involved in home growing. There are plenty of space saving varieties of vegetables and small scale growing ideas that you can put to use. Read on for growing tips tailored for small gardens. Think about the type of vegetables that you’re most interested in eating and focus on them. Asparagus, Brussels sprouts, celery and maincrop potatoes take up a large amount of space so it’s worth avoiding these. It’s advised that growers choose vegetables that are expensive to buy in shops and taste best when they are at their freshest. Most legumes fall into this category and good space savers include pole beans, bush beans, fava beans and peas. Dwarf varieties are good for small containers and climbing beans utilize vertical space. Making upright boxes out of wood that can be filled with soil is an ingenious space-saving solution. Most seed packets will tell you how much space the adult plant requires so you can plan ahead for this. When constructing your wooden boxes, use well-maintained and high quality power tools to get the best results, like those from Anglia Tool Centre. You can also use old crates or cans if you want to create a bohemian feel. Plan your space carefully and utilize what you have. If you have limited space to work with, try growing crops that will be out of the ground within a few weeks. That way you can quickly go on to a new crop and maximize the number of varieties and vegetables you are able to grow. Crops that take a long time to be ready for harvesting include parsnips, leeks, pumpkins and squashes. If you want to grow vegetables that take a few months to reach maturity, why not try ‘intercropping’. This means interspersing slower varieties with fast growing vegetables to save on space. Now that the New Year is finally upon us, millions of us up and down the country are scrambling around, looking for a New Year’s resolution. One area that you should immediately look to for this resolution is your allotment. Here is a guide to how you can make sure you use your resolution to make your allotment usable all year round. Your allotment needs continuous hoeing and de-weeding to stay in prime condition. Although going out to de-weed in the depths of winter may not sound like an appealing idea, it is one that’s entirely essential. To help aid the process and make it less laborious in the future, you should consider planting potatoes, pumpkins or courgettes as they actually smother weeds and hinder their growth. On the other hand, you’ll need to make sure that small items such as carrots or peas are away from areas with weeds, because they cast little shadow and are vulnerable to being smothered by weeds. Items like these should instead be grown in beds with plants as this will make the de-weeding process far simpler. Consider time. If you’re short, plant pears, peas and carrots that will give a heavy yield when they are sown late. Banish slugs by using replants. Slugs are everywhere in the wet season and it is vitally important that you deter them as best as possible if you want a good crop growth. Winter and the wet months, however, are not the only struggle that you will have. Despite being a popular time for gardening, the summer months can also prove tricky, with constant maintenance required. If it is exceptionally dry, clay based soils will work in your favour here, but sand based soils will dry out incredibly quickly. Remember that you may have restrictions on water use, so plan for every eventuality. To avoid a struggle, you need to plan accordingly. Have a look at long range weather forecasts before deciding what to plant. Leafy salads and runner beans will suffer on dry soils, so if it is going to be dry, choose more tolerant plants like squash or pumpkins. Finally, to make sure that your allotment is usable all year round, make sure that you have all the equipment immediately available at your disposal. A shed from somewhere like Sheds and Things is a lifesaver for an allotment that’s in use 365 days a year. Make sure you’re properly prepared.